PROCETS main target is to deliver protective coatings covering a wide range of applications such as automotive, aerospace, metal-working, oil and gas and cutting tools industries via thermal spray and electroplating methods by utilizing more environmental friendly materials, compared to the currently used. Cnano has a major role in the project targeting in delivering a sustainable electroplating method for applying hard protective coating, alternative to hard chromium, in applications such as rods for shock absorbers in collaboration with Tenneco and in cutting links of chain saws for Husqvarna. All specimens are coated in the pilot line of the company. The FineSol project targets the production of hyper fined solder powders of type 8-9 (particles size 1-10μm) and finer interconnects/higher interconnect density thereby increasing functionality per unit size and leading to miniaturisation of PCBs. Thus, the project targets significant saving of raw materials used by reduction in electronics size and weight, and energy consumption by reduction in PCB soldering temperatures and dwell time leading to decrease of cost. The Green INSTRUCT project aims to develop a prefabricated modular structural building block that is superior to conventional precast reinforced concrete panels by virtue of its reduced weight, improved acoustic and thermal performance and multiple functionalities. The Green INSTRUCT block consists of over 70% of CDW in weight. Cnano has a major role in the project by developing and delivering a photocatalytic paint active indoors for application in the precast blocks for building reinforcement. Cnano is also responsible for the evaluation of the photocatalytic activity of the powders and paints developed, utilizing is fully equipped laboratory. SOLUTION Project combines theoretical approaches represented by advanced nanoscale simulations, laboratory design and fabrication of novel solid lubricants supported by simulations, and the up-scaling of promising solutions and their application in selected emerging engineering applications. Cnano responsibility it to develop and characterize an engineering electrodeposited composite coating based on Ni or Ni-P matrix reinforced by 2D nanoparticles, presenting low friction and high wear and corrosion resistance. Thin film deposition methods for the production of devices e.g photovoltaic cells, LEDs, micro/nano-sensors are adopted from the industry. The production process parameters are important for the performance and function of these devices. Basically, elevated temperatures and vacuum conditions are necessary for the fabrication. Therefore, limitation in capacity and cost are restraining the development of new innovative materials. SPRINT will develop a universal deposition technology of amorphous and tuned crystalline matter on various substrates at lower cost and higher deposition rates, by combination of the existing technologies and going beyond the state of the art in advanced materials development. Creative nano participates in the LightCoce H2020 project focusing on building an Ecosystem for the up-scaling of lightweight multi-functional concrete and ceramic materials and structures. Partners from 9 EU countries participate in the LightCoce consortium, representing 5 Large Enterprise 8 RTDs, 12 SMEs, and 1 Association. 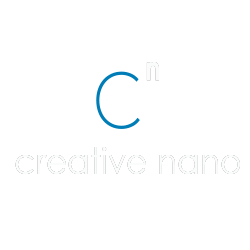 Creative Nano is one of the end users of the ecosystem bringing a test case in the field of lightweight concrete, in collaboration with Titan Cement (GR) and NTUA (GR).